Lace up your skates for a day of festive fun. Reno Tahoe’s outdoor ice rinks bring excitement and joy to this classic winter pastime and inspire everyone to embrace the festive season. 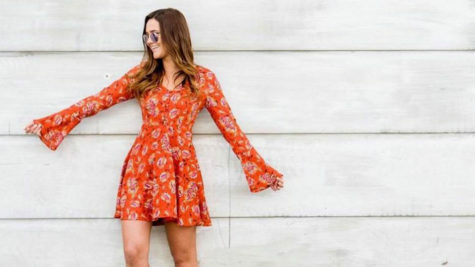 This family-friendly activity is the ultimate way to spend a winter afternoon. 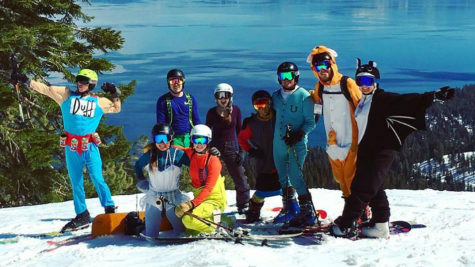 So bundle up, save room for plenty of hot chocolate, and head to one of Reno or Lake Tahoe’s ice rinks for a day of merry memory making. 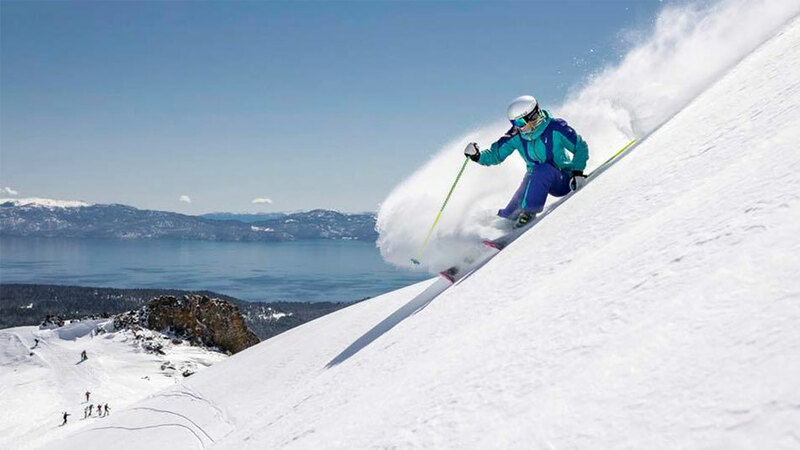 If not everyone in your group feels like skiing or snowboarding, there are plenty of other family-friendly activities to choose from at Lake Tahoe ski resorts. 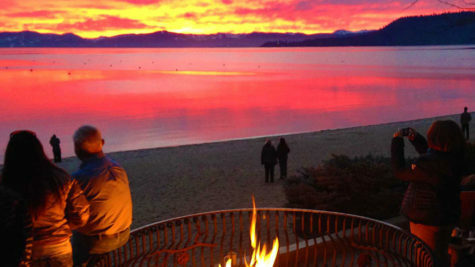 Enjoy music and fun each day and night at Heavenly Village’s open-air skating rink in South Lake Tahoe. 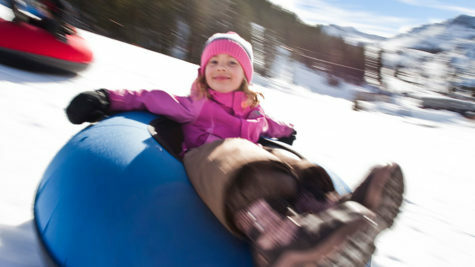 Visit the Activity Center at the Village at Northstar for some turns around their ice skating rink which is surrounded by fire pits. The wintry, fairy-tale like setting is enough to put anyone on cloud nine. Greater Nevada Field in downtown Reno is home to the Reno Aces during the spring and summer months, but in the winter the field outside the stadium transforms into the Reno ice rink to add to the holiday spirit. Kids will love the special Ice Rink Character Days happening throughout the season. 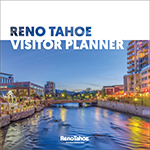 There are nearby restaurants – Duffy’s Ale House and Bugsy’s Sports Bar & Grill – to satisfy the hunger you’re sure to work up, and it’s close to entertainment and attractions in downtown Reno, including casinos, the Riverwalk, public art and local breweries. Another cool place to show off your skating skills is The Ice Rink at Grand Sierra Resort. After taking your turns and twirls on the ice, check out the heated pool, hot tubs, fire pits and the full-service bar. *Check ice rink websites for opening dates and hours of operation.